"With complimentary Delta Sky Club Access!" Complimentary Sky Club access, bonus Skymiles and MQMs for the welcome bonus, big spend bonuses, companion certificates...need we say more? You’ve just gotten a promotion and will be traveling a lot more than you used to. You’re a bit worried that you’ll get frustrated and worn out by the constant airport and hotel scene. Luckily, you come across the Delta Reserve® Credit Card from American Express and realize it has a lot of potential to make your travels easier, and you’ll earn a bunch of extra points to boot! Kick back and relax, because with the Delta Reserve® Credit Card from American Express, your travels will be much more comfortable…not to mention rewarding! Once you have your Delta Reserve® Credit Card from American Express, you will earn Medallion Qualification Miles (MQMs) and bonus miles after you make your very first purchase on the card. This is unique, as most cards require you to meet a minimum spend within a few months. Like the other American Express Delta cards, you will earn 2x miles per dollar for Delta purchases and 1x miles for all other purchases. There is no limit on the amount of miles you can earn! Bottom Line: The Delta Reserve® Credit Card from American Express earns MQMs and bonus miles as soon as you use it. You’ll also earn 2x miles on Delta purchases. So, what differentiates this card from the Gold Delta SkyMiles® Credit Card from American Express or the Platinum Delta SkyMiles® Credit Card from American Express? The Delta Reserve® Credit Card from American Express can be a great card to carry if you are a regular traveler on Delta Air Lines. Instead of just getting discounted Sky Club access, you have full complimentary access to the Club. As you travel more frequently, this benefit starts to pay itself off. They have locations at airports all around the world. You will also earn 15,000 MQMs and 15,000 bonus SkyMiles after you reach $30,000 in purchases on your card within the calendar year. Once you reach the $60,000 spending level, you’ll earn an additional 15,000 of each! The other huge benefit of the Delta credit card is the Companion Certificate. This is valid for a round-trip ticket on any trip the primary cardmember is making in first class or main cabin. You have to pay taxes and fees, but you can save hundreds or even thousands of dollars if you utilize this in the most valuable way! We recommend longer cross-country trips. Bottom Line: Complimentary Sky Club access is the main benefit of the Delta Reserve® Credit Card from American Express, but you also get 15k bonus MQMs and SkyMiles for big spends, and the yearly Companion Certificate! You can also get a few other perks of an elite status flyer on Delta by having the card. Just by being a cardholder, you can check your first bag for free. This can save up to $50 on a round-trip flight. Priority boarding is also included, so you can make waiting in line a thing of the past. Zone 1 priority boarding is just after elite status members on Delta flights, so you’ll be able to get on the flight early, stow your carry-on bag, and settle in sooner. You will also receive a 20% savings in the form of a statement credit on all eligible in-flight purchases of food, beverages, movies, television shows, video games, and audio headsets. So enjoy! Bottom Line: You will receive a free checked bag, Zone 1 boarding, and 20% off in-flight purchases for being a Delta Reserve® Credit Card from American Express member. Terms and Conditions Apply for all benefits. Along with these insurance benefits, you’ll also get return protection, purchase protection, and an extended warranty for your purchases. The card also offers access to concierge staff both day and night. If you need details on a place to dine, a special event, or even finding the right gift for that special someone, help is available. Your card will also provide you with discounts and presales to various concerts, sporting events, and shows, as well as to cardmember-only events. Bottom Line: The Delta Reserve® Credit Card from American Express offers much more than just a way to earn miles; it also provides you with travel protection and peace of mind on your purchases. Before you go forward with applying for the card, there are a few items you should consider to ensure this is the right card for your specific needs. For instance, the card does require a pretty steep annual fee. So you will want to be sure that it’s worth it to move forward! The Card Math section below can help you in determining that. If you like Delta but don’t travel them enough for the Sky Club access to be valuable, you can consider the Gold Delta SkyMiles® Credit Card from American Express. There are other airline cards available if you aren’t a huge fan of the benefits on this one. For example, you may be more drawn to the Citi / AAdvantage Platinum Select MasterCard if you are an American Airlines flyer. It doesn’t require big spends to get bonuses, yet still allows you to get some decent awards. Finally, you may prefer a card like the Chase Sapphire Preferred® Card or Chase Freedom Unlimited℠, which are general travel rewards credit cards. Bottom Line: Although the Delta Reserve® Credit Card from American Express does charge an annual fee, it can still be well worth it, given its many perks. However, infrequent travelers or lower spenders may want to consider an alternative. Even though the Delta Reserve® Credit Card from American Express allows you to get rewards in a number of different ways, the key focus of this card is its travel benefits. Using the card on items that you purchase directly from Delta — such as travel, inflight beverages, and even gift cards — can help to rack up the reward points. However, even if you are not a big traveler, you can still pile on the bonus miles by using the card for everyday purchases like groceries, gas, and even your utility bills. If you travel frequently on Delta Air Lines or its SkyTeam partners, then this card will be able to offer you some substantial rewards in the form of travel and other benefits. These include Sky Club access, big spend bonus SkyMiles (15k at both $30k spend and $60k spend) as well as MQMs (same), free first checked bag, 20% in-flight discount, and Zone 1 priority boarding. In addition, you will also have various protections and other types of coverage whenever you’re on the road if you’ve used your Reserve Card to make your travel arrangements and reservations. Plus, the card can also help you with keeping the items that you purchase safe through the additional warranty and protections it offers – all just by being a cardmember! Bottom Line: For frequent travelers on Delta, the Delta Reserve® Credit Card from American Express can be the perfect card option for you. Earn Sky Club access, big spend bonuses, elite status miles (MQMs), and more! Information about the Delta Reserve® Credit Card has been collected independently by Upgraded Points. The issuer did not provide the details, nor is it responsible for their accuracy. If you make all of your purchases with the card up to $60,000 in a year, you will end up earning over 40,000 bonus SkyMiles plus 60,000 or more frequent flyer miles from your spending (more if with Delta). That’s at least 100,000 bonus SkyMiles in a year for this amount of spend on the Delta Reserve® Credit Card from American Express, which is at least one international First Class ticket, or a couple of domestic round-trip flights. You will automatically gain Silver Medallion status as well, because you will have earned 30,000 bonus MQMs. You only need 25,000 to qualify for Silver status, so you have 5,000 to roll over to next year. If you travel frequently enough, for just an additional 20,000 MQMs (obtained by flying Delta), you could get Gold status which allows you to earn lots of extra SkyMiles and other valuable elite status perks! When you’re a big spender, you can earn a lot of MQMs and earn Delta Silver Medallion status without even having to fly! However, if you’re a frequent flyer (recommended for holders of this card), you could very likely earn Gold status without much trouble. Although you can earn 2x points on Delta-related purchases, there are several other ways to really maximize your Delta SkyMiles. Below are some tips for using your Delta Reserve® Credit Card from American Express to maximize your reward points! Tip #1: Be sure to use the card for any and all purchases. This will help you not only to earn miles but reach a higher elite status tier, which itself will earn you lots more miles! You can ensure you qualify for the 15,000 MQMs and frequent flyer miles for the first $30,000 you spend in a calendar year. If you spend enough, you can get the additional 15,000 MQMs and SkyMiles for another $30,000, for a total of $60,000 in spending. Tip #2: When you reach Silver Medallion status, you will earn a bonus of 2x SkyMiles per dollar directly through the Delta SkyMiles program when you purchase Delta flights. That means if you use your Delta Reserve card, you will earn 2x from the card, 2x bonus for being a Silver Medallion, and the typical 5x rate for Delta SkyMiles members, making a total of 9x miles! Tip #3: Shop in the SkyMiles shopping portal for anything you need to purchase online in order to get bonus SkyMiles for whatever you buy! Tip #4: While you’ll receive complimentary access to the Delta Sky Club for yourself, you can also get up to 2 guests in at a discounted rate of $29 per person. A single day pass costs $59, so you could save up to $60 each trip. Furthermore, you will earn 2x miles on those lounge passes, since they will count as a Delta purchase! Tip #5: Sign up to the Delta SkyMiles Dining Program for the easiest and most passive way to earn SkyMiles. You’ll earn miles when you’re just out eating with friends on a Friday night. With the dining program, you associate your card with your account. Any time you dine at a restaurant that is a partner of the airline, you will receive between 3-5 bonus miles! 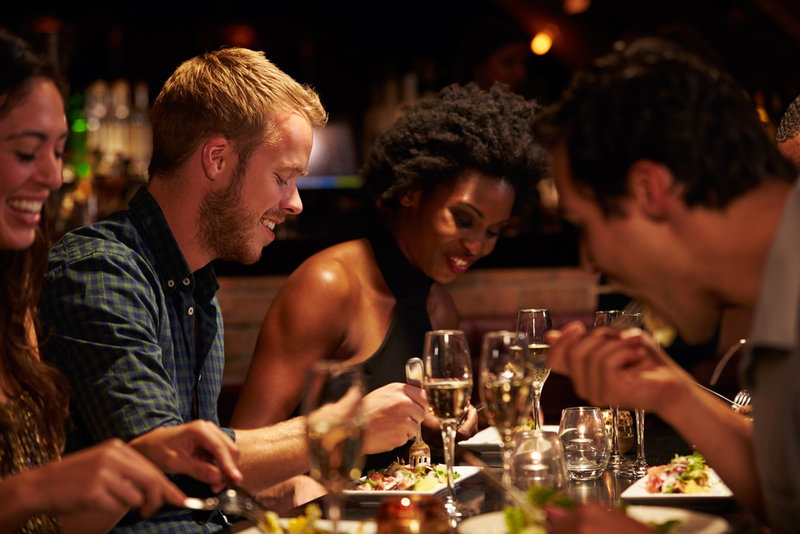 Sign up to the Delta SkyMiles Dining Program and earn miles just for going out and eating with your friends on any given night! Like with some reward card programs, it can be difficult to figure out exactly how to redeem your Delta points. The following are some of our recommended methods. Pay with Miles: If you do not have enough miles to “pay” for your entire flight, you also have the option of using points to simply help offset the cost of paying for the entire flight in cash. With Pay with Miles, you will spend miles in chunks of 5,000 at a redemption value of $50. This is $0.01 per mile, which isn’t the best, but is good if you have some spare miles and want to save some cash. Redeem for flights with Delta: One of your primary options is to redeem your SkyMiles frequent flyer miles for flights with Delta. While they no longer have an award chart, you will pay similar prices to those of the other major airlines, starting around 10,000 miles for a one-way domestic ticket. Your reward points will go the furthest when redeemed for international travel in business and first class, where they could be valued at around $0.02 each! The exact mileage amount will depend on where you travel, as well as the seat class. Redeem for flights on SkyTeam: Similarly, you could take your miles and redeem them with SkyTeam partners. You will very likely get even greater than $0.02 value on many of these. To redeem with SkyTeam, you can research flights either on the partner’s search portal or through Delta’s rewards portal. Not all flights will show up however, so you will likely have to do research elsewhere. When you want to book, if the flight you want is not in the Delta portal, you will have to call a Delta customer service representative to use the miles. While the card itself doesn’t offer partners, as a Delta frequent flyer member you will have access to the SkyTeam Alliance, as well as a number of other airlines to choose from. Delta SkyMiles members will also have access to numerous hotel and other non-carrier partners. There are additional partners that may be found for cruise lines, car rentals, dining, and household services. The options are nearly unlimited, and include partners for both earning and redeeming! Before you move forward with applying for the card, it is important that you have a thorough understanding of exactly how everything works. Many of these intricate details will be included in your Cardmember Agreement, so if you want an expanded explanation, you can go there and refer to it. However, note that AMEX reserves the right to change it at any time. 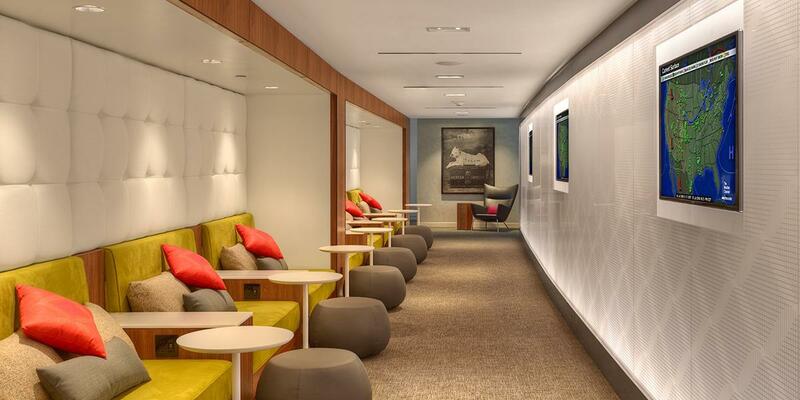 Your Sky Club access will only work if you are traveling on a Delta coded or operated flight. This is different and somewhat inconsistent with the Platinum Delta SkyMiles® Credit Card from American Express, which claims to work with any ticket. The companion ticket also has some rules behind it, but should be nothing surprising: you just need to be flying along with your companion on the same ticket in order to redeem it. Note that while it is not a feature of the card itself, Delta has a “rollover” policy where any extra MQMs earned are rolled into next year’s status. Therefore, if you make 30,000 MQMs from your big spend bonuses, then 5,000 of those will roll over to next year if you just stop there. The first 25,000 earn you Silver Medallion status. What the card does earn you with regards to elite status is a waived Medallion Qualification Dollar threshold, meaning you don’t need to meet a minimum spend through Delta to earn status. The Delta Reserve® Credit Card from American Express offers a number of nice perks, and these are all listed below. Big spend bonus – Using the card for purchases all year long can be rewarding, too. That’s because you’ll receive 15,000 bonus miles and 15,000 MQMs if you spend $30,000 in a calendar year, as well as another 15,000 of each if you spend $60,000 in a calendar year’s time. First class companion certificate – Keep your card and renew it, and you’ll be able to enjoy a domestic first or main cabin round-trip companion certificate each year upon its renewal. 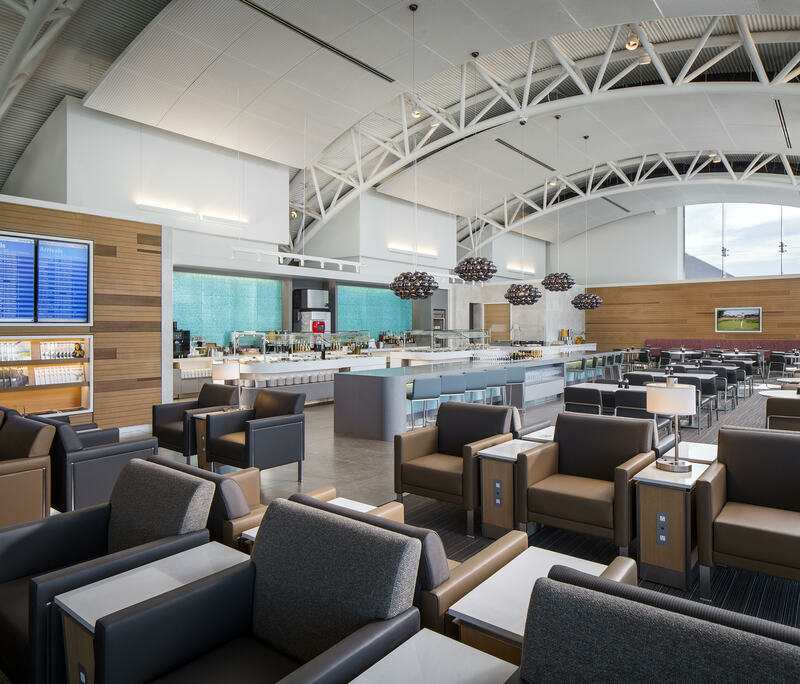 Delta Sky Club access – Card members have complimentary access to the Delta Sky Club, where they can enjoy beverages and snacks, as well as Wi-Fi access, satellite TV, private restrooms, and more! Concierge service – Concierge service is available to cardholders day or night. Regardless of whether you need to select a restaurant, show, or even a personalized gift – just give the service a call. Priority boarding – You’ll receive Zone 1 priority boarding on Delta flights so you can board the plane early, stow your carry-on bag, and settle into your seat. Free first checked bag – Cardholders can also check their first bag for free, saving up to $50 on a round-trip Delta flight. 20% savings on in-flight purchases – Cardmembers can even save on in-flight purchases like food, beverages, and entertainment items. Pay with Miles – Using Pay with Miles, you can exchange 5,000 extra miles for $50 for anything. Baggage insurance plan – Travel in comfort knowing that you’ll be covered by the baggage insurance plan if your bag is lost, stolen, or damaged when you purchase your ticket with your card. Car rental loss and damage insurance – Having something happen to a rental car can ruin your entire trip. But, when you reserve the vehicle using your card, you can be covered. Premium roadside assistance – Need a tow or a jumpstart? As a card member, you can have up to 4 services per year. Global assist hotline – An emergency when you’re away from home can be frightening. When you’re traveling more than 100 miles, legal, medical, financial, and other types of help are just a phone call away with this card. Travel accident insurance – You can help to protect those you care about financially with travel accident insurance through your card from American Express. This coverage can provide financial security if you’ve paid for your fare using your credit card. Extended warranty – An extended warranty is available for all purchases made with the card. Purchase protection – If your item is damaged or stolen, you will be covered up to a certain amount for your purchase. Return protection – If you can’t return your item to the original vendor within 90 days of purchase, you will be covered to get up to $300 per item back. Travel accident insurance – When traveling on major carriers, you’ll have travel accident insurance that covers you in case of emergency. ShopRunner – Get complimentary access to this shopping service, which offers free online shipping through hundreds of online shops. You must enroll and log in to use the service. Medallion Qualification Dollar waiver – You are exempt from having to meet the MQDs to reach any level of elite status. Entertainment access or membership experiences – You will have access to any Amex Entertainment event, including presales to sporting events, concerts, and shows. For rates and fees of the Delta Reserve® Credit Card from American Express, click here. Is the Delta Reserve® Credit Card from American Express worth it? If you are a frequent traveler, then the card can be well worth it, even with the annual fee. For this to be the case, you’d have to fly on Delta Air Lines and/or on any of the affiliated SkyTeam Partners. One of the key reasons for this is that you can accumulate rewards points right off the bat when you make your very first purchase; you’ll get MQMs and bonus miles (see summary table or below offer for current offer). If you plan to use this card for regular purchases, the points can really add up! For starters, you’ll earn 2 miles for each dollar you spend directly with Delta. If you travel with this airline a lot, that can help to pile on the points. Using the card year-round can also be a plus. When you spend $30,000 in a calendar year, you’ll get 15,000 bonus miles and 15,000 MQMs. When you’ve spent $60,000 in a calendar year, you’ll earn an additional 15,000 MQMs plus an extra 15,000 bonus miles. On top of that, you can also save money while traveling by receiving a 20% savings on your in-flight purchases of food and other items. When you renew your Delta credit card each year, the benefits will continue because you’ll be able to enjoy a domestic first or main cabin round-trip Companion Certificate. But the perks don’t end there! If you purchase an item and you want or need extra protection, your card can offer that, too. For example, purchase protection and extended warranty options are also available as a cardmember. Does the Delta Reserve® Credit Card from American Express have an annual fee? Yes. See the summary table above. Do the points on a Delta credit card ever expire or go away? Because the miles earned will have to be transferred to Delta SkyMiles right away, the points on the card will not ever expire or go away, even if you cancel all your American Express rewards cards. How does the Delta Reserve® Credit Card from American Express compare to the Platinum Delta SkyMiles® Credit Card from American Express? The Delta Reserve® Credit Card from American Express is focused more on the Sky Club access and the first class companion certificate. However, the Platinum Delta SkyMiles® Credit Card from American Express is probably the most valuable of the three cards offered. It may not earn the most points, but it has access to all Sky Clubs, regardless of which airline you are flying. What is a good card to use in conjunction with the Delta Reserve® Credit Card from American Express? You can use any of the other Membership Rewards cards, such as the The Amex EveryDay® Credit Card from American Express or The Amex EveryDay® Preferred Card from American Express, then later transfer those points to Delta Air Lines. What do I get on the Delta Reserve® Credit Card from American Express with regards to MQM? You will get bonus MQMs for making your first purchase on the card. You will then get 15,000 bonus MQMs after spending $30,000 in a year. Finally, earn an additional 15,000 MQMs at $60,000 in spend. What is the Delta Reserve® Credit Card from American Express upgrade priority? You will receive upgrades according to your current ticket and status. If you are an elite status member, you will get priority. Cardmembers get priority over the regular customers. How much would you have to fly in order to go from silver to gold status with the reserve card? The MQM (Medallion Qualifying Miles) requirement for Silver Medallion status with Delta is 25,000 MQMs. The MQM requirement for Gold Medallion status is 50,000 MQMs. If you had the Delta Reserve credit card and spent $30,000 on the card in a calendar year you would receive a total of 25,000 MQMs for that spending (10,000 MQMs for spending $3000 in the first 3 months and another 15,000 MQMs when you reach $30,000 in total spending). You could then reach Gold status by earning another 25,000 MQMs by flying or by spending an additional $30,000 (total of $60,000) to earn another 15,000 MQMs and that would leave you with only needing to earn 10,000 MQMs from flying. Keep in mind that all of this activity has to be completed in a calendar year. I hope this answers your question.